Applications: Trizact™ 237 can be used successfully on power files and finger files to achieve smoother finishes, especially on harder materials such as stainless steel. Trizact is a synthetic structured abrasive with properties of filing faster than ordinary coated abrasives, so it gives finer finishes faster and often in fewer stages. Made with Trizact™ 237 synthetic abrasive. 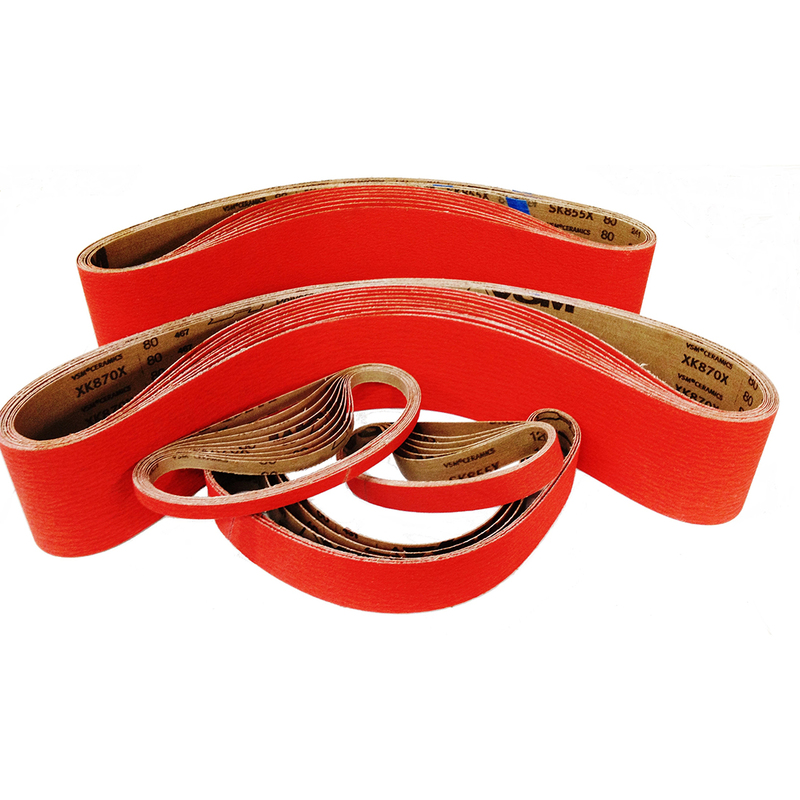 Ground, angled taped joints for strength and smoother running. Listed sizes are examples. Most sizes ca be supplied made to order. Please enquire. Trizact grades are different to standard 'P' grades. 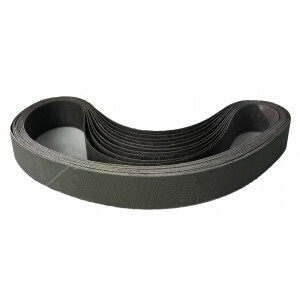 High performance power file belts from coarse grade 36 to fine grades up to 400. 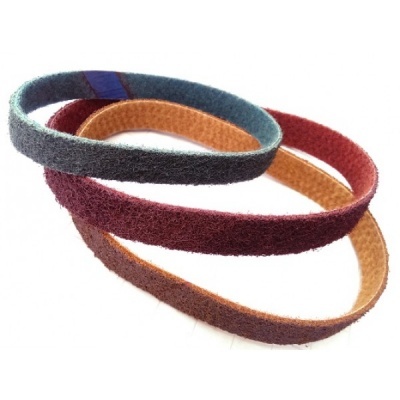 Surface conditioning belts will give more controlled action in surface improvement, weld blending and scratch removal.